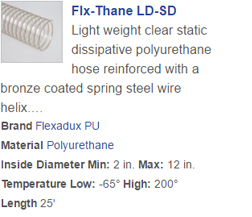 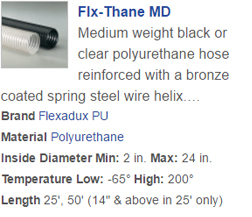 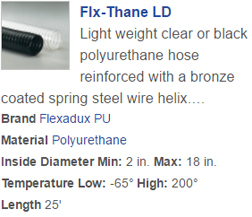 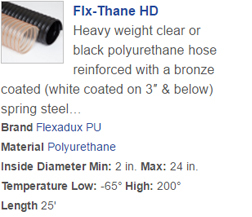 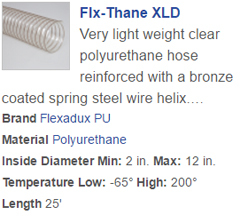 Flexaust has manufactured durable, long lasting, flexible hose and ducting solutions for industrial and commercial applications for over 65 years. 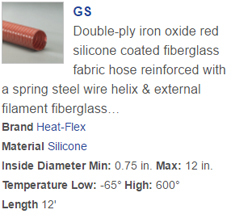 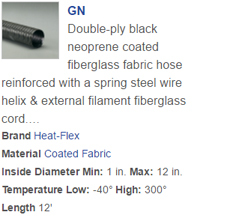 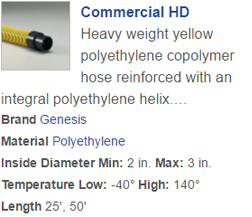 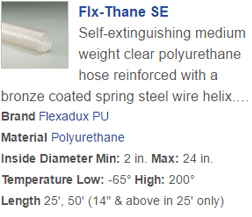 Our hose products are used in applications involving air, dust, fume and lightweight materials. We offer the largest selection of products including wire reinforced coated fabric hose, wire reinforced plastic hose in regular as well as stretch construction, hand-bendable metal ducting, all plastic wet or dry vacuum hose and blow molded corrugated tubing products. 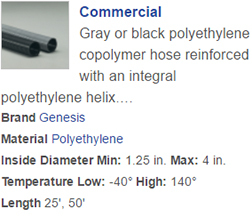 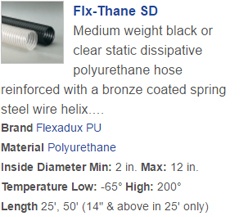 Flexaust uses an array of materials including thermoplastic rubber, polyurethane, PVC, neoprene, polyester and vinyl fabric and polyethylene to manufacture a broad range of products.